In an atmosphere reminiscent of a medieval faire, fairies, elves, and minstrels abound. 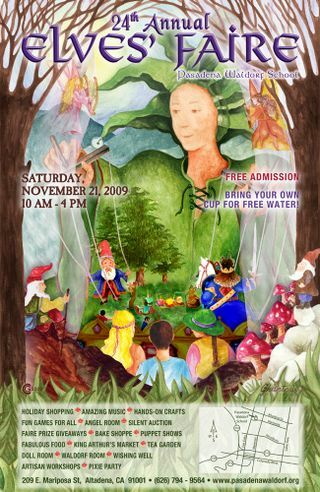 Celebrating the end of the Fall harvest season, the Faire anticipates the coming darkening and cooler Winter months when families gather together cozily in the warmth of their homes and rejoice in the light-bringing holidays. We invite you to join us for amazing holiday shopping, artisan crafts, music, entertainment, food, games and great family fun!